Always wanted to be a racecar driver? Well, you’re not alone. The dual race car simulator is a fun way to pin your guests up against each other and see who wins the race. This game uses state of the art technology to provide a realistic driving experience for players and is perfect for those lead-footed fanatics. This simulator also fits perfectly into NASCAR or racing-themed birthday parties. In double shot basketball, two players compete for the basketball champion title. With an electronic scoreboard and a digital countdown, it feels like the real deal for players. To add a little more realism and excitement to the mix, you can even include an attendant who is dressed like a referee! 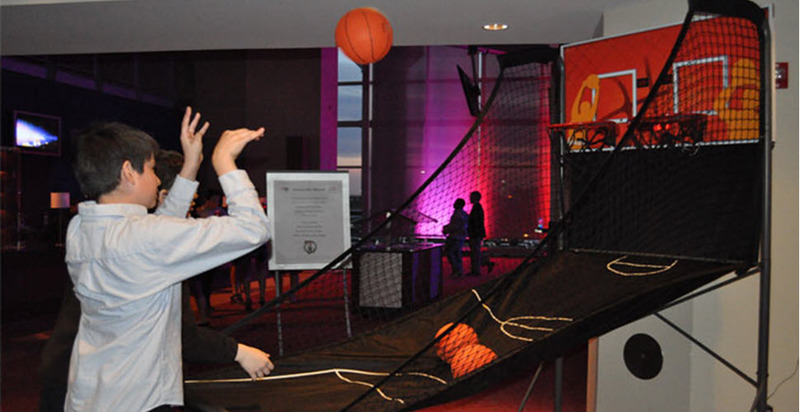 Hoops 2 Go is another basketball championship alternative that can include up to four players who face off in a countdown to who can make the most hoops in the allotted time. Have you ever wished you could have a billiards-themed showdown at your party, but didn’t wan to deal with the hassle of shuffling heavy pool tables to your venue? Now you can simply rent a billiards table, have it delivered and set up, and leave the fun to your guests. Pool tables offer a lot of fun in one area of the party, but don’t skimp on competitive spirit. Are you planning a sports-themed birthday party but can’t choose just one sport to include? Well, now you don’t have to! You can get all the sports you want in just one activity. Including baseball, football, basketball, golf, and volleyball, our virtual sports arena is a one-stop-shop that will please everyone. You can even have multiple arenas set up all over the event and have several different sports sections of your party so you don’t have to limit your theme to just one type of sport. Want to include as many players in one game as possible? Our 3-screen video game wall includes 3 large TV monitors where up to 12 players can battle it out at baseball, bowling, or any other popular sport you can think of. This is one way to get everyone involved in the same activity and up the competition a bit. 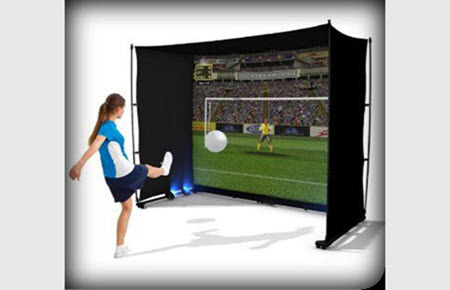 Video games at home on one TV don’t compare to the video game wall, and we guarantee that your guests have never seen anything like it at another party! If you are planning a birthday party or other event in the areas near Boston, Hartford, and New York, we can help you maximize the fun and minimize the stress. At Creative Event Services, we cater to our clients’ individual needs. Planning exciting and unique birthday parties, bat mitzvahs, bar mitzvahs, and other events is our passion, and we make it our mission to provide plenty of activities, decorations, furniture, and other party planning ideas for our clients to choose from. Allow us to help you simplify the planning process—we will deliver and set up all of the activities and make sure the technology is working properly at all times. If you have any questions about our services or would like to know more about the sports video games we offer, contact us today—we look forward to helping you plan your special day.